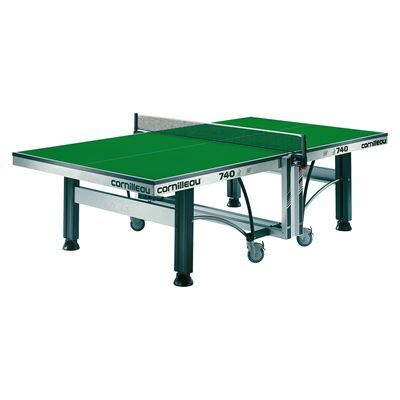 The Cornilleau ITTF Competition 740 Rollaway Table Tennis Table - The reference for top level competition. 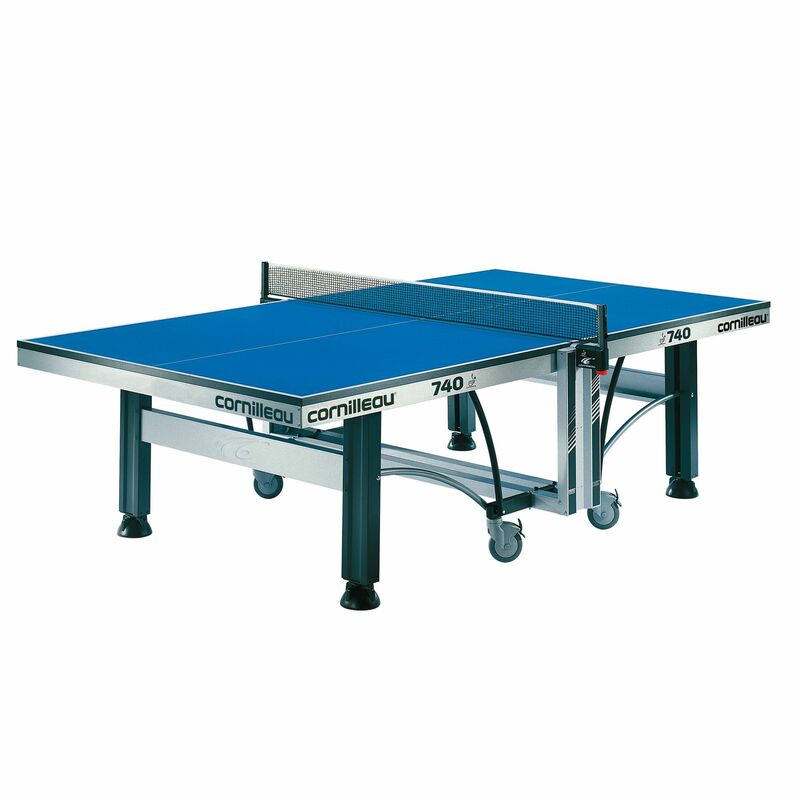 A concentration of innovations for an exceptional table whose performance remains unequalled on the world market. Approved by the International Table Tennis Federation (ITTF). Playing Surface : 25 mm high density chipboard tops for maximum stability and excellent bounce. 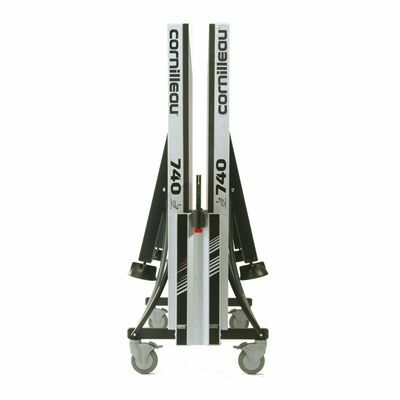 Available in blue or green. 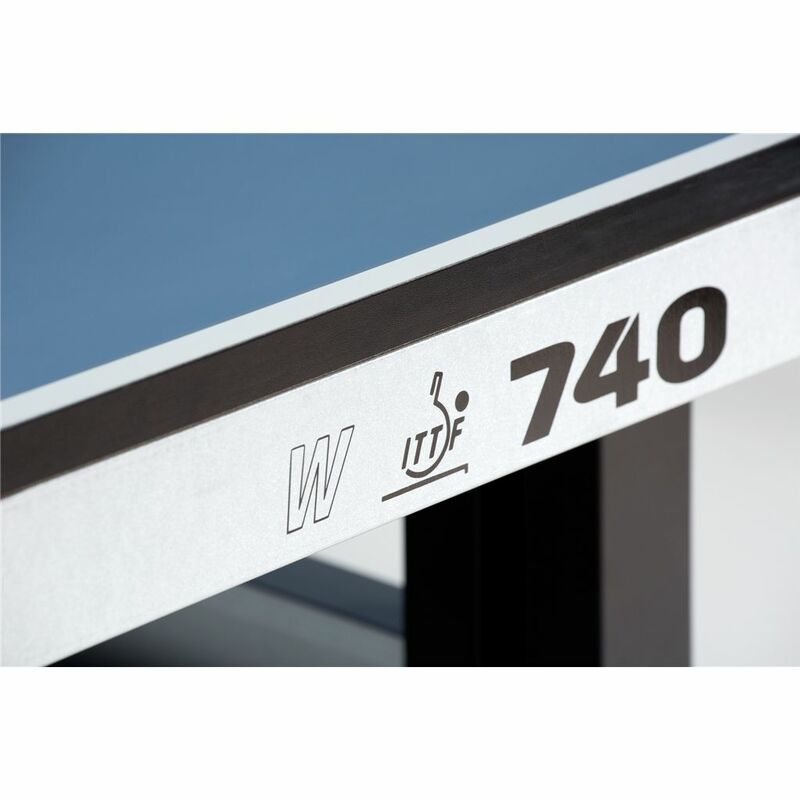 Steel Frames: Corrosion / scratch resistant 70 mm steel frames increase the rigidity and flatness of the board. Leg Assembly : Lacquered steel 120 x 60 mm leg assembly.Designed to stack tables during storage for minimum storage space. Flatness: 4 adjustment pads (135 mm dia) allow adjustment of each part of the table guaranteeing perfect flatness. 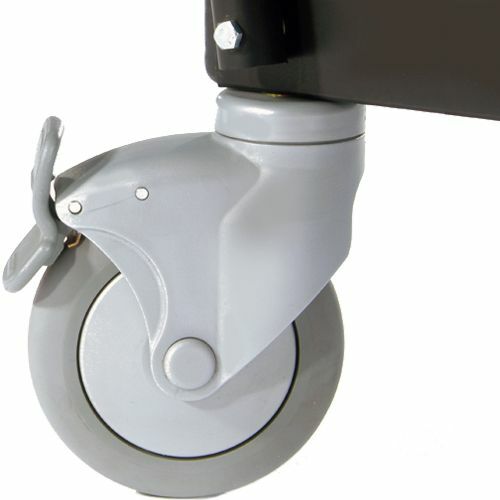 125 mm ball bearing wheels allow easy movement of the table for storage - large diameter wheels make the table easy to roll whilst the brakes ensure the table is sturdy whilst in use. ITTF net posts are permanently attached to the table to save time at each set up. 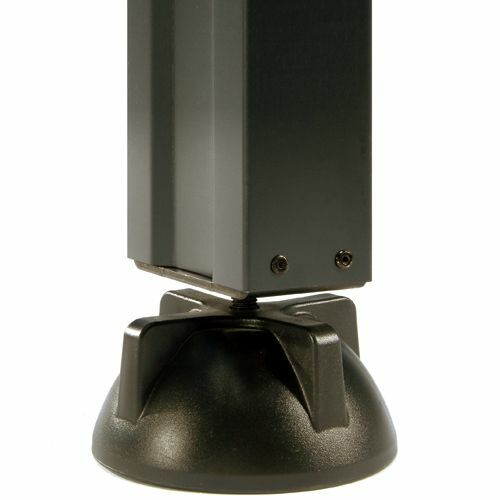 Net posts are made from steel. 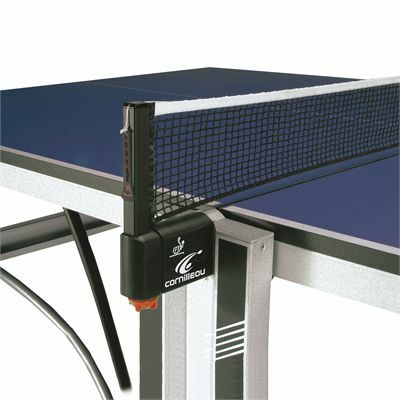 Cotton net included with the possibility of adjusting the height of the net without changing the tension. 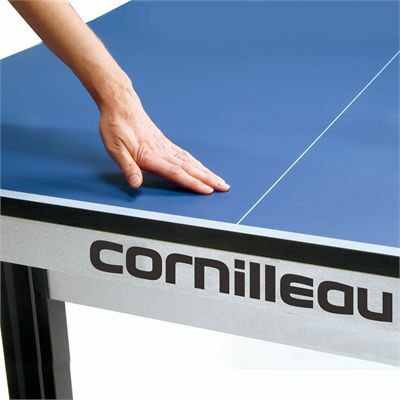 for submitting product review about Cornilleau ITTF Competition 740 Rollaway Table Tennis Table 2014.